< Draw A Bird Day (November rewind) and October recap! Right?! Yes, we do. Artists are the recyclers of events such as the one in Paris. It is our job to create meaning and beauty in the face of it. This is what I’ve come to believe. I am a hugger! Jodi’s drawing is adorable! And yeah, we all could use a lot of hugging right now. 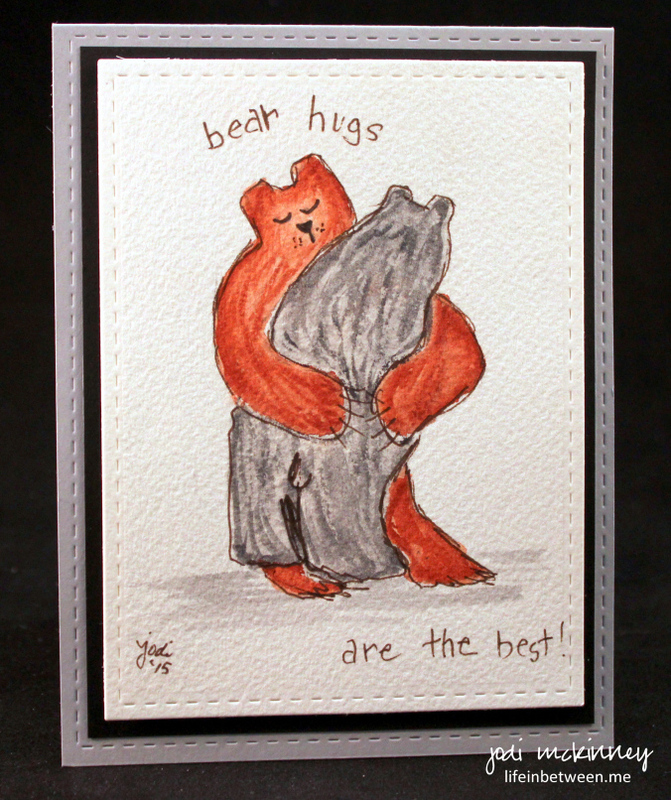 Here is a bear hug from TX!! Hugs are truly the best!!! Thanks, Tree! Sending hugs back!